Americans are willing to pay more to buy organic foods. That’s the conclusion from a new report released today by the U.S. Department of Agriculture’s Economic Research Service. USDA researchers examined the price difference between the conventional and organic varieties of 17 different foods. For six products – yogurt, spaghetti sauce, canned beans, salad mix, milk and eggs – organic varieties saw a premium of 50 percent above the conventional price. But the higher prices for organics aren’t driving consumers away. 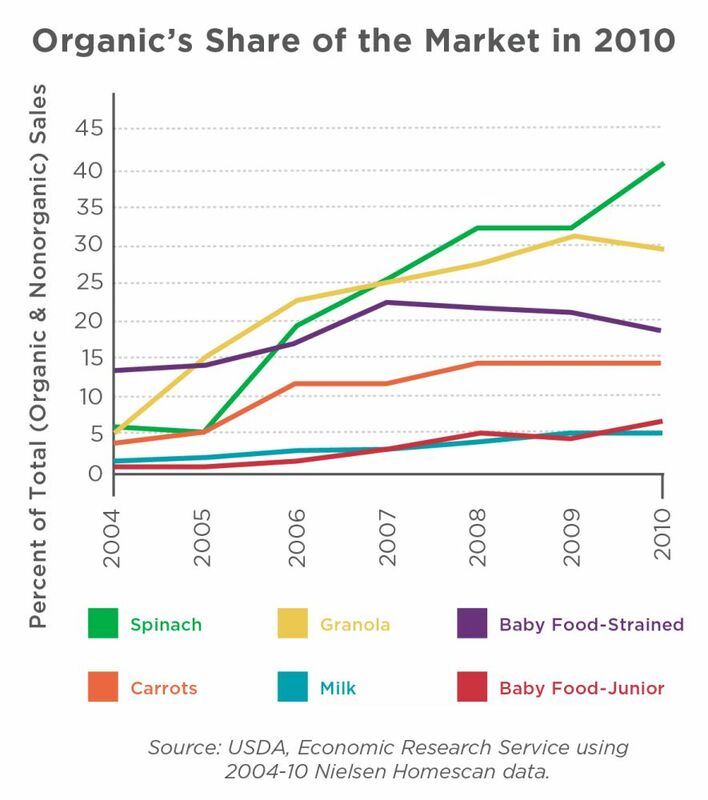 USDA reports that between 2004 and 2010, the share of organic sales for most products increased. 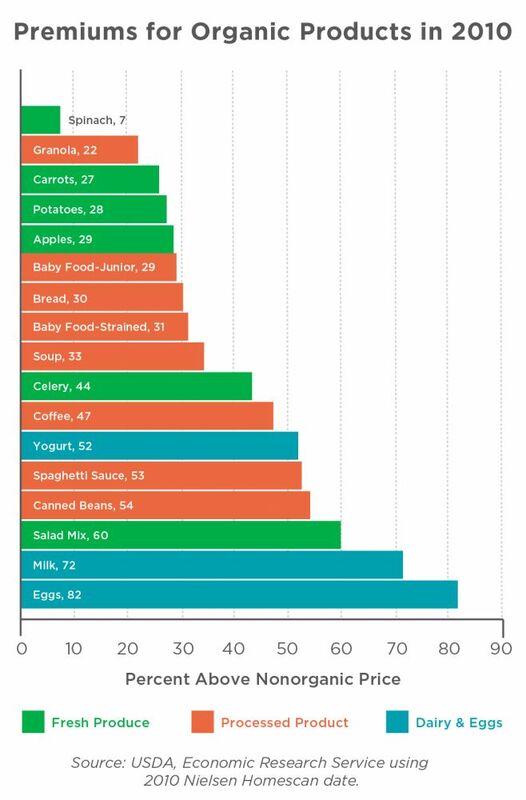 Foods commonly fed to children like organic spinach, granola, strained baby food and carrots saw the fastest growth. In 2010, organic spinach accounted for roughly 40 percent of all retail spinach sales. It's no mystery why shoppers are willing to pay more for organic food. Studies show that organic foods contain fewer pesticide residues than non-organic crops, and organic farming practices can also lower the environmental footprint of agriculture. New data recently released by the Organic Trade Association show that total organic product sales in the U.S. for 2015 hit a new record of $42.3 billion, up 11 percent from the previous year’s record level. OTA estimates that sales of organic food now account for nearly 5 percent of total food sales nationwide, with almost 13 percent of the produce sold now organic. This trend is also good news for farmers, who receive a higher premium for their organic products, and the local economies they support. Yet despite this growth, the number of certified organic farms is still struggling to keep pace with consumer demand and companies like Costco are struggling to keep organic food on the shelf. That’s why EWG calls on Congress to fully support organic starting with increasing federal resources to help farmers transition more conventional cropland to organic.